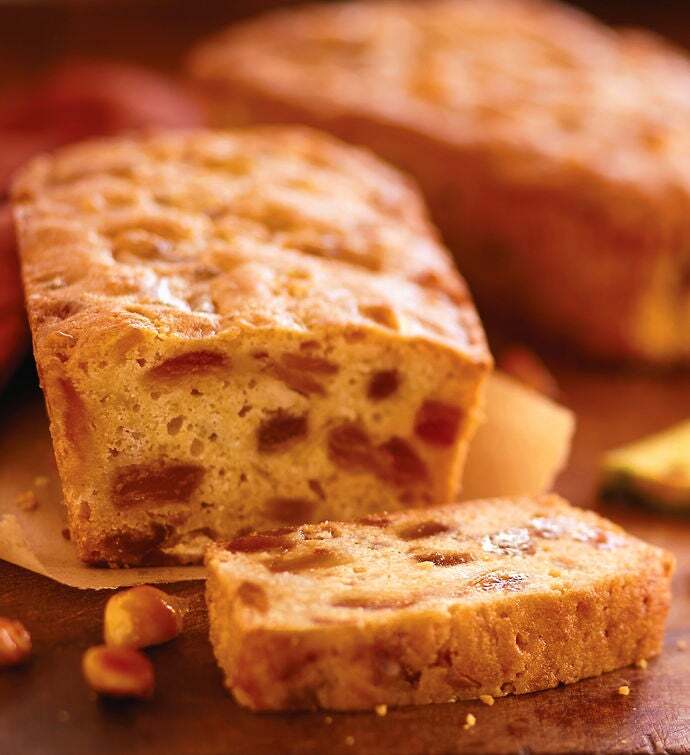 Golden and delectable, the irresistible Pineapple Macadamia Nut Cake is made with plenty of moist, tropical pineapple and premium macadamia nuts. Then it's all baked to perfection in our rich, buttery batter. Delight a hostess or give it to a friend. And now that you get two, there's more delicious cake to share. Or keep it all to yourself. We won't tell.